The Beachy Villa Vista vacation rental we had was absolutely perfect and aside from being ON the beach (vs a less than 5 minute walk! ), I don't know what could be improved. 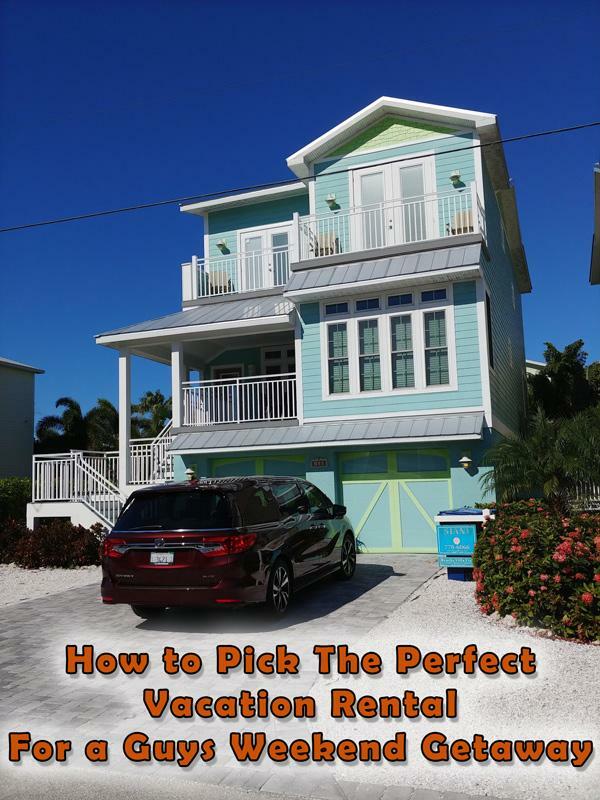 I can't say that for every vacation rental that I've stayed at though, so here's some tips to help you pick the perfect rental property for your next mancation or guys weekend getaway. Who Manages the Property - Owner or Rental Management Company? Most owners are good people, but there is an important differentiation between the three primary types of management types. Properties that are managed directly by the owner will generally have a local owner or someone who is remote, while rental management companies are typically local. The key here is LOCAL. I once stayed at a property in Michigan where there was an issue with the hot tub based on the previous renters and the owner didn't know and ultimately had to drive several hours to sort things out for us. That took time away from our vacation and that's not good for anyone. Another time, the owner was simply not able to resolve the situation because of the distance. Luckily we didn't have any issues with our property this time but even so, a person from the Island Reality stopped by to say hi and check to make sure that everything was perfect for us. Another key advantage here is that generally a management company will have a structure and system in place to provide instructions on how to use various elements of the house and a 24-hour help line if something goes wrong. That isn't to say that independent owners can't do similar but the experience here is often closer to what you'd expect from a large property like a the Marriott Vacation Club villa we visited in Palm Desert earlier this year. Rental management companies for vacation homes aren't perfect though. I do sort of enjoy the "folksy" nature of staying in someone's home and the often personal recommendations for different local restaurants and things to see vs just a standard folder of brochures. Ultimately though, that's more of just a personal preference. You might also find cheaper deals by going direct or by looking on a listing service such as Craig's List though with a rental management company, you can generally do research and find reviews easily. The next step is to decide where you want to be. 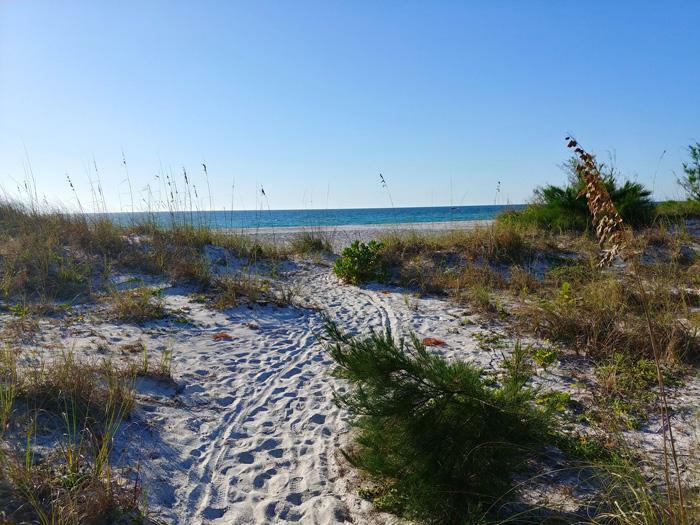 Some properties are going to be on or near the beach, while others might be located on a golf course or even "in town". 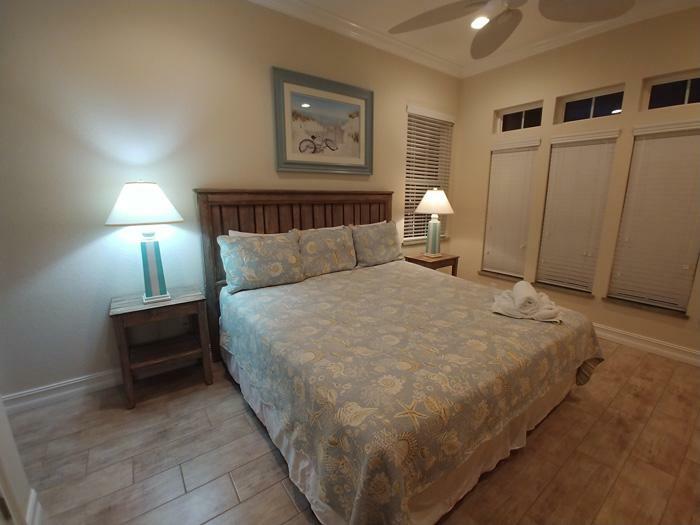 The location of your vacation rental home is going to determine a lot about how you spend your free time as well as what dining options and other services are available. This isn't going to be like a hotel where you have your own space - the reality is you will be sharing a kitchen, common areas and sometimes a bathroom as well. This means that people you are normally friendly with may get on your nerves ... but it's also a great opportunity for bonding. Make sure to only invite guys who you know you'll feel comfortable with, or this might not be the right choice for your guys weekend. How Many Rooms ... and What is the Bed Configuration? Not all rental properties are equal. While they may say "sleeps 10" that's under an ideal circumstance where you have people sleeping on pull out couches and sharing rooms. In our case, while it CAN sleep 10, there were 5 separate bedrooms and 4.5 baths so it was perfect for our group of four guys. However, the bed configuration was 1 king, 2 queens, 2 twins, 1 twin bunk bed, and 1 queen sleeper sofa so not everyone got an equal sleeping arrangement. This is pretty common for most rental properties since they are more often configured for families traveling together and kids don't mind having roommates or smaller beds. This means that it is very important that you and your buddies do the research ahead of time and make a plan for who gets what bed so that there aren't any fights upon arrival. One of the HUGE advantages of a vacation rental vs a traditional hotel is that while it might be slightly more expensive "per night", you can save on meals and your bar bill by buying supplies and hanging out there. You'll also be able to have a lot more privacy hanging out at your own pool instead of shared one with all the other hotel guests. However, you still need to do your homework here. Make sure you know what's important to your group including wifi being included, a hot tub, outdoor kitchen, garage vs street parking, TVs etc. Some properties might not even have air conditioning and so it is important that you check all those details before making the reservation. 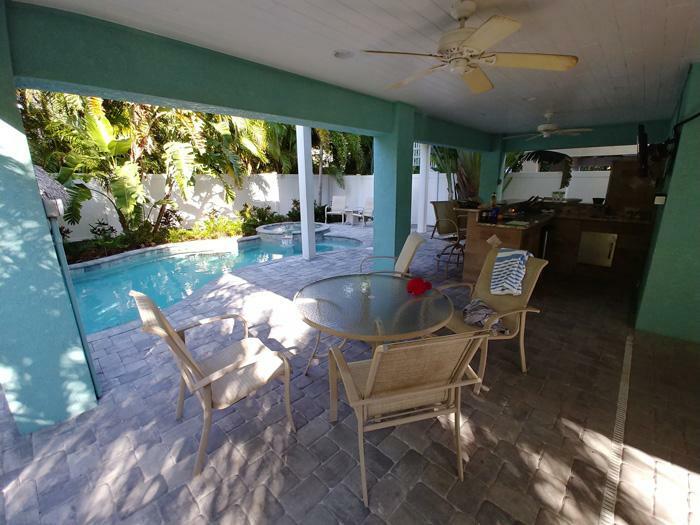 In our case, the Beachy Villa Vista had pretty much everything you could possibly imagine and that allowed us to hang out in the large common area watching football as well as throw a party on the pool deck complete with steaks and fresh caught fish. If you have a group of guys meeting up, chances are that you have multiple vehicles to find space for too. While many property listings will say how many spots are available, this is a very important thing to find out as well. In our case, none of us brought our dogs but the property was in fact pet friendly. However, not all pet friendly properties are created equal. Because of this, you'll want to make sure to confirm all policies and any extra deposits required before you confirm your stay. 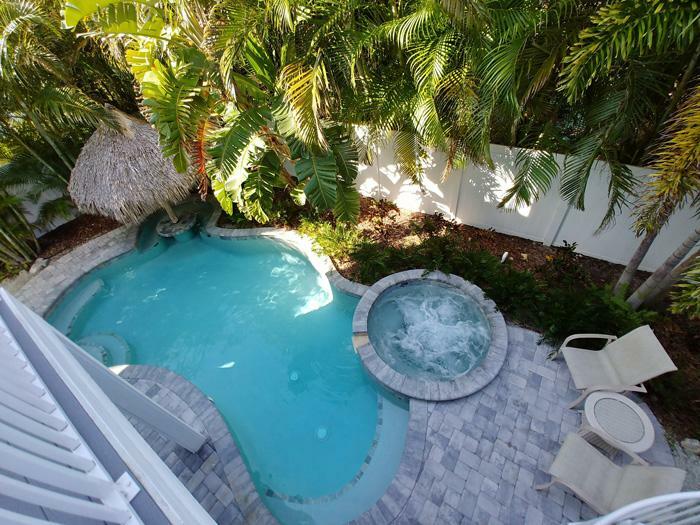 Overall, choosing a vacation rental property for your next guys weekend can be a great choice and it's something I look forward to doing more in the future. There's a stronger sense of bonding here as well since we were able to hang out in the common area before going to bed, where as in a hotel environment typically each guy just goes back to his room after returning back to the property.